The Federal Railroad Administration published a document on its website Wednesday officially kicking off a highly anticipated environmental review of a proposed high-speed rail line between Dallas and Houston. The document, called a Notice Of Intent To Prepare An Environmental Impact Statement (EIS), marks the start of a process that will involve public input on Texas Central High-Speed Railway's ambitious endeavor, which aims to connect travelers between Dallas and Houston in 90 minutes or less. The company has said it plans to operate the country's fastest and only profitable high-speed rail line without public subsidies. Company officials have been preparing for the federal review for more than a year and have quietly worked on the logistics of it with federal officials in advance, according to people involved in the discussions. The EIS, which could take more than a year, will examine possible routes for the rail line and how each scenario would impact the region's environment, including agricultural land, streams, floodplains and wildlife, as well as various federal regulations including the National Historic Preservation Act. The review will also investigate "the potential impacts of stations, power facilities, and maintenance facilities to support HSR operations," according to the federal notice. Local entities as well as the public have 90 days to submit written comments on the scope of the EIS to ensure "that all issues are addressed related to this proposal and any significant impacts are identified." A series of public scoping meetings, led by the Texas Department of Transportation, will be held throughout the impacted region, allowing for Texans to comment on the project and pose questions. If a failed effort to build a high-speed rail line between Houston and Dallas 20 years ago is any guide, much of the public debate will focus on what land will be needed for the project, the locations of stations and how the noise and emissions from the trains will impact local communities. 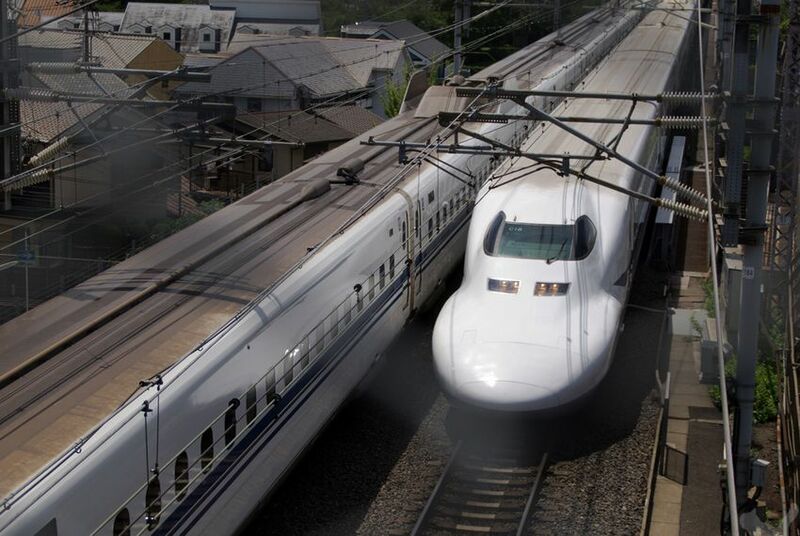 Texas Central High-Speed Railway plans to build a stand-alone rail system, modeled on the Central Japan Railway Company's N700-I Bullet System. Officials in North Texas have proposed finding a separate funding source to expand the line from Dallas to Fort Worth, a project that is expected to be the source of a separate review by the Federal Railroad Administration.